I am always looking for ways to impress my friends with something different. You have heard me say, however, that I have little imagination for gift giving; so when I find something special, I enjoy a little boasting, and the credit with which it comes. 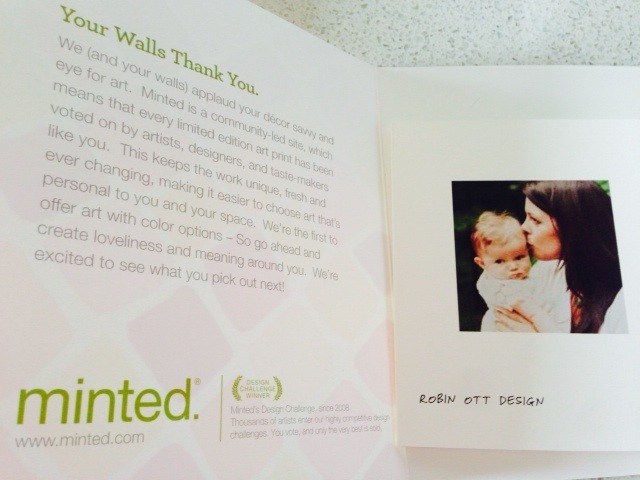 I have spent the past few weeks (or longer) obsessing over the designs from the Minted artists. 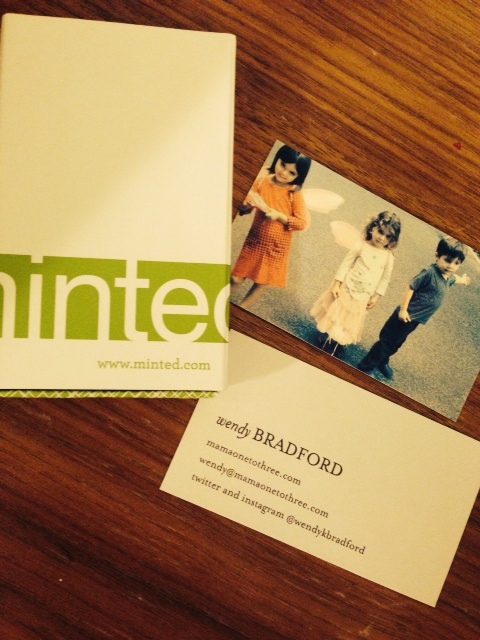 Minted connects the world’s independent designers and artists through technology with consumers like me–often far, far away. I stayed up one night going through hundreds of holiday card designs. Because I procrastinate, and I am a little lazy, we send out very few cards out each year (so don’t expect one). 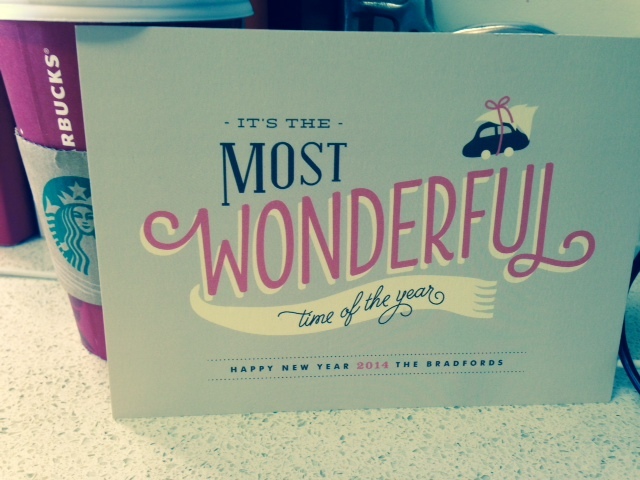 But I did choose a beautiful retro-themed design for a “Happy New Year” greeting. Our mail carrier, building porters, and my husband’s one aunt will be delighted to receive this one! You can find anything you need for wedding invitations, thank you notes, baby and kid stationery, business correspondence, calendars, and much more on Minted–with many exciting choices regarding printing and paper options. The experience of looking through the designs did make me miss–in many ways–the time when we could only stay in touch with friends and family through phone calls, and lovely cards and letters (I am that old, folks). Luckily, now that I can be reached on email, Instagram, Twitter, and Facebook, I have stunning new business cards with this information to flash around at cocktail parties this holiday season (also, my mail carrier, building porters, and my husband’s one aunt will be thrilled to receive one with their new year’s card!). One of the coolest thing about this experience was getting a card from the artist whose design I chose for our family collage. The designers, like Robin Ott, submit their work for voting in a competition. The winners’ designs end up in homes around the globe. I meant to post this review weeks ago. It took me so very long to decide among the beautiful stationery, business card, holiday card, and wall art designs–and then I had some difficulties uploading and saving my photos to the website. Minted’s customer service responded immediately, and each of two times was able to help fix the issues (which may have been mine). Once my mind was made up, and my order finally placed, I did not have to wait long for it to arrive well-protected with friendly notes letting me know who packaged my order. 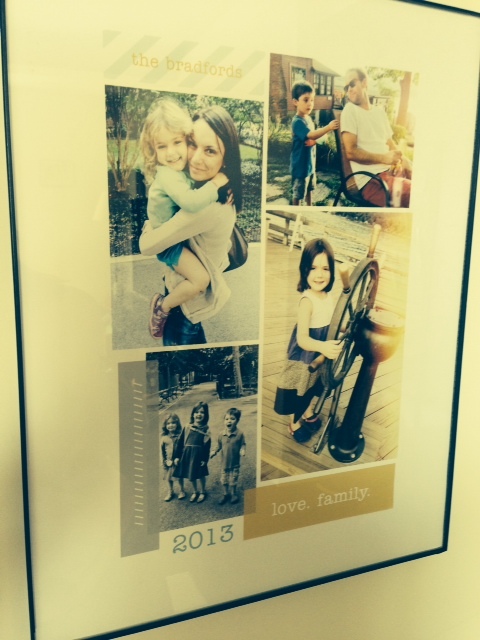 Visit Minted’s website to see what special offers are available right now. Start impressing your own friends with the many unique gifts, cards, art, and more from independent artists across the world. I was provided with a Minted credit to use to place my order; I chose my own products. All opinions are, as always, my own. This entry was posted in Family Life, New York City Living and Coping, Review and tagged gifts, holiday cards, minted, review, sponsored, stationery. Bookmark the permalink.